The rendered surfaces of the bungaroosh walls of Brighton & Hove imitate a material that is not common to our area – stone. Stamford has stone in abundance. I came across Stamford in Lincolnshire quite by accident during a trip to help a good friend, Nicholas Boles, get selected for a Parliamentary seat. I obviously love our local buildings but our rendered bungaroosh walls aren’t exactly practical. For those not in the know, bungaroosh is a material made up of old chunks of bricks, flint, wood and chalk. 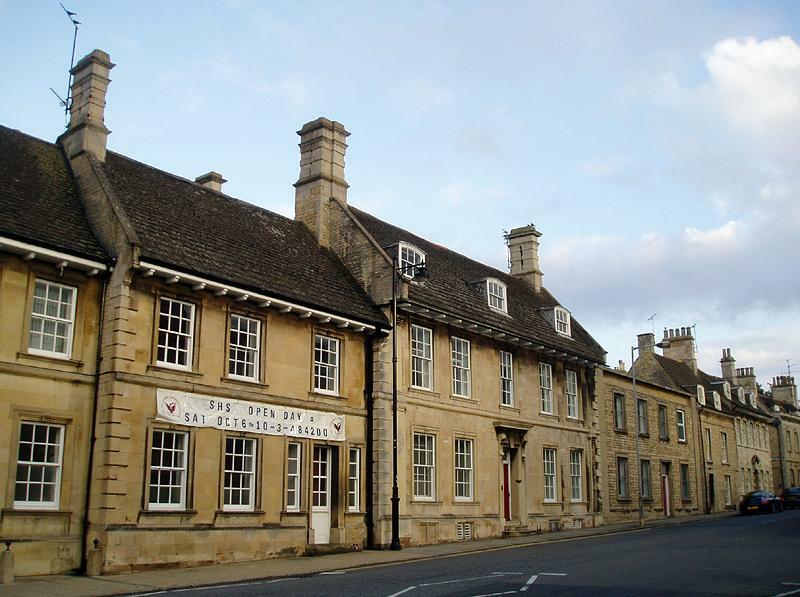 The old Lincolnshire limestone facades of Stamford, however, are built to last. I had heard in advance that Stamford featured as ‘Meryton’, the home of the Bennet family, in the recent film adaptation of Jane Austen’s Pride & Prejudice which starred Keira Knightley. It is the quintessential Georgian stone town; full of character with rows of tiny houses and shops. It also appeared in the 1994 BBC adaptation of George Eliot’s Middlemarch. Despite knowing this, I was certainly not prepared for the magnificent Burghley House just outside the town centre. Burghley House was the home of William Cecil, Elizabeth I’s closest adviser. Along with preparing for the Spanish Armada, he is said to have been Burghley’s principal architect. It was built on land that was acquired by the Cecil family following the Dissolution of the Monasteries (carried out, of course, by Elizabeth’s father, Henry VIII). Building work was complete by 1589 though many changes have since been made. In the main house, there are 35 major rooms on the ground and first floors. There are more than 80 lesser rooms and numerous halls, corridors, bathrooms and service areas. During the 17th century, the great Italian painter, Antonio Verrio, painted the magnificent interior. During the 18th century, the grounds were landscaped and the building remodelled under the guidance of the great Capability Brown. Today deer roam freely amongst the stunning surroundings – what a life! 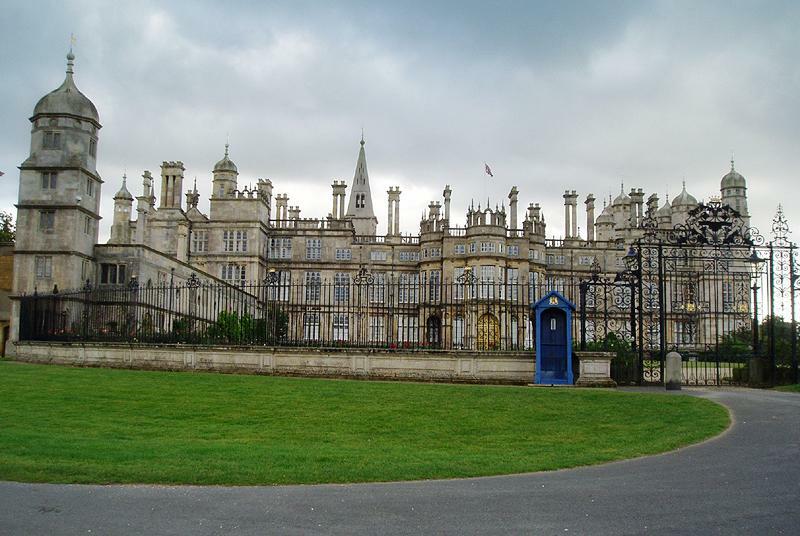 Burghley also appears prominently in the Pride & Prejudice film as ‘Rosings’, the home of Lady Catherine De Bourgh. Brighton and Stamford both have great Georgian connections. The soldiers in Pride & Prejudice are the 10,000 troops who were stationed on Brighton’s Belle Vue Field in 1793 at a time of great unrest across the Channel. Belle Vue Field later became Regency Square. More recently, Shoreham Airport featured in the Da Vince Code film – as did Stamford.